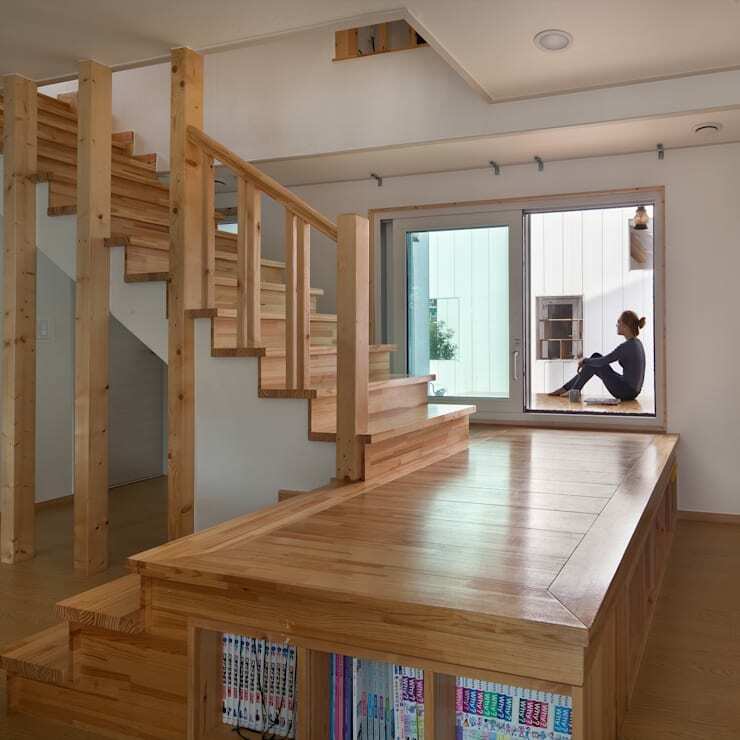 Buying or building a home is an expensive proposition at the best of times, particularly in the Republic of Korea, where limited space and a burgeoning population have seen house prices steadily rise. 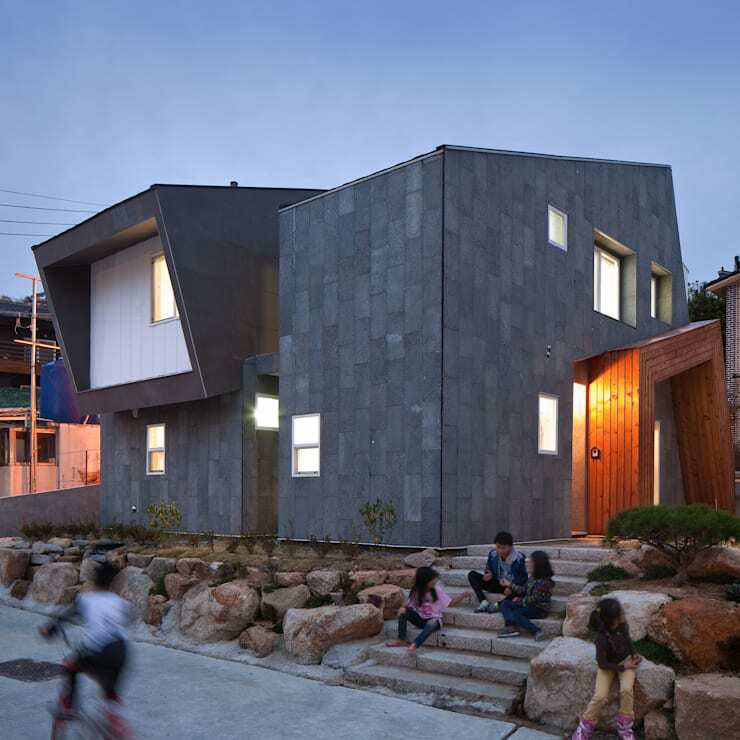 Inner-city living can be particularly expensive, which is why these home owners developed the novel approach of combining four beautifully designed, unique properties on one block of land in the outskirts of bustling Busan. 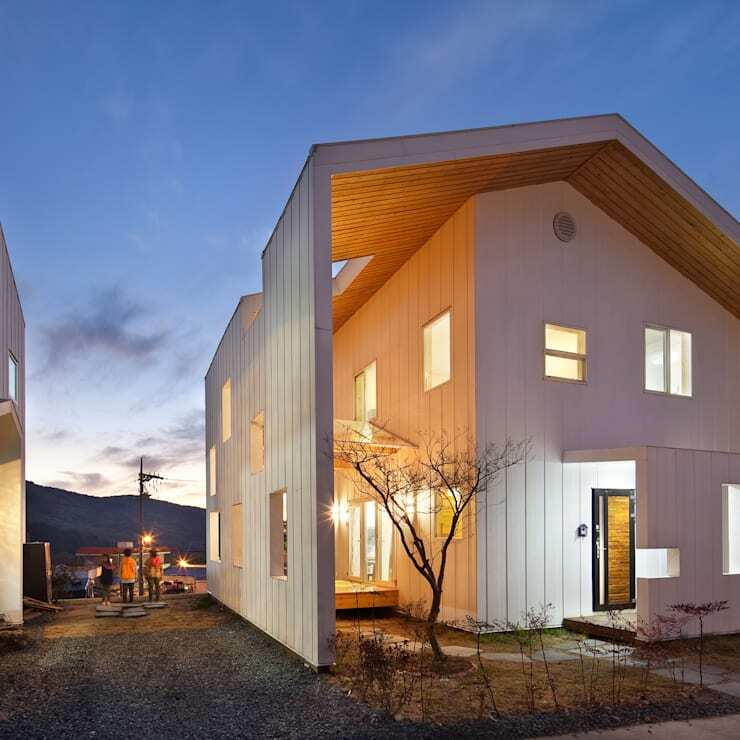 The four homes present an inventive design concept, with Rieul Dorang Architects having constructed each dwelling to portray a distinct set of aesthetic characteristics, incorporating contrasting finishes and design materials, with the overarching theme of contemporary geometry tying the homes together. The result is four stylish and spacious houses, each brimming with personality, and including all the functionality and convenience required for comfortable, modern living. The benefits of having four families building four homes on one plot of land was also a clever way for the families to save on costs. Instead of buying four blocks of land, they only needed to buy one! Take a tour below and tell us which style is your favourite! The homes are located on the outskirts of Korea's second largest city, Busan, in the midst of a picturesque landscape. Nestled within a scene of low-lying hills and calm, green flora this locale is ideal for budget building, with its proximity to Busan accommodating the desires of avid city-dwellers and its semi-rural surrounds giving off a relaxing, country air. The first house comprises an area of 110m2 including the surrounding garden, and presents an elevated, white design, with its high walls covered by an array of small windows. The construction comprises two layers: a cubic, white box housing the living area, and an expansive shell which accommodates a semi-enclosed space for outdoor living. 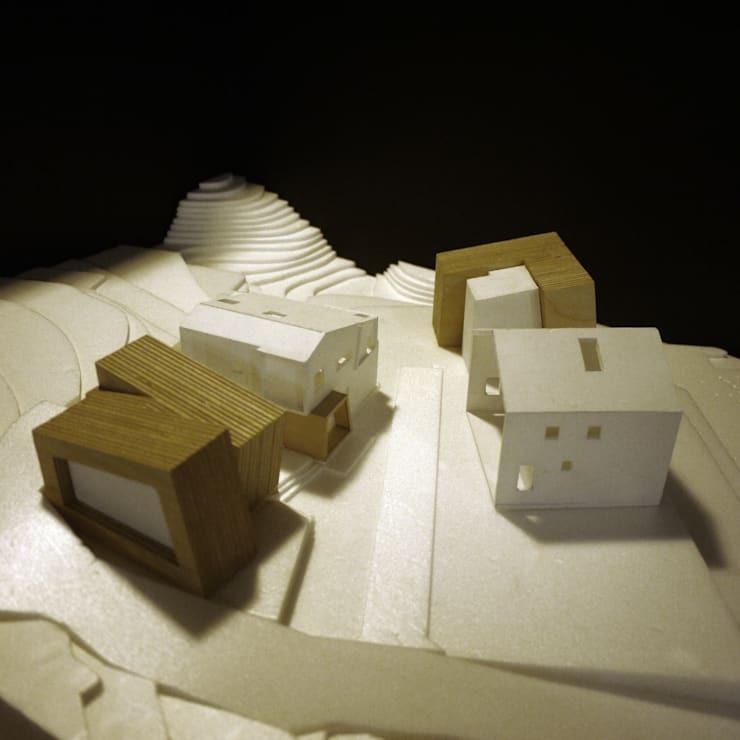 In this way the home presents an aesthetic that is sympathetic to the open plan of the block, in which four neighbouring houses share a relatively small space, with the semi-enclosed space creating a sense of privacy for the occupants. The second house rests atop a slightly larger area of 120m2, and presents a stylistic contrast through the grey tones of its panelled, slate exterior, while still retaining the geometric air of its predecessor. Strong lines and scattered windows characterise the facade, with the caramel hue of its sculptural entrance drawing the eye and adding an artistic element to the design. Rather than an enclosed space for outdoor living, this home incorporates an expansive interior, which is well lit through ample windows and a large skylight. A budding garden bordered by rustic stones delineates the dwelling from its companions, with the house perching proudly atop its rocky dais. Within the modern façade of the slate house we can see that the external aesthetic has been continued, with the cool, grey hues of the home's exterior replicated within this beautiful bathroom. 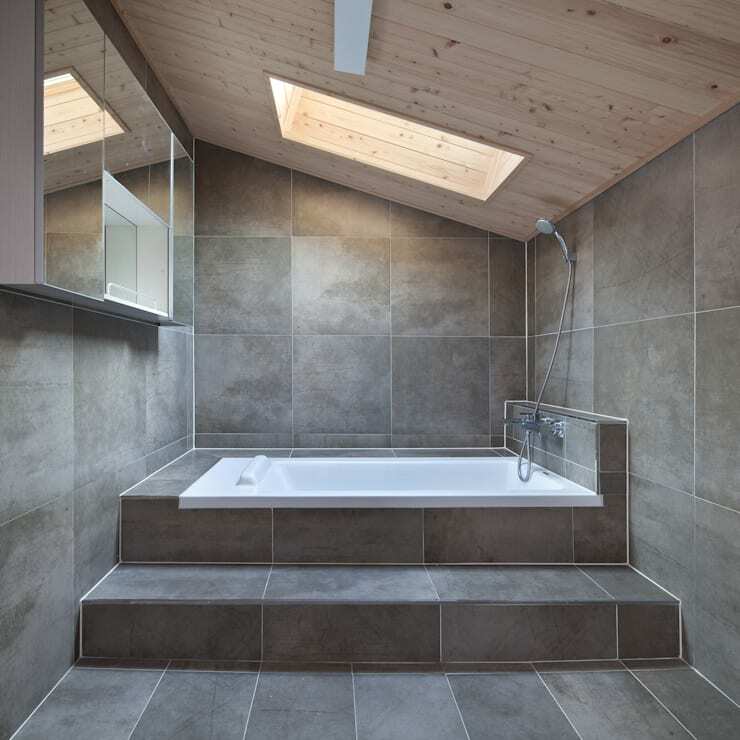 Large tiles border every surface except the pale, timber ceiling, creating a clean and fresh space for a relaxing soak in the tub. Ample storage has been included in the mirrored cabinets, meaning that the room can maintain its minimalist appeal, and sunshine streams through an overhead skylight, inviting elements of the natural environment into he privacy of this calm space. Neighbouring the slate home is a slightly smaller construction which rests on an area of 97m2. 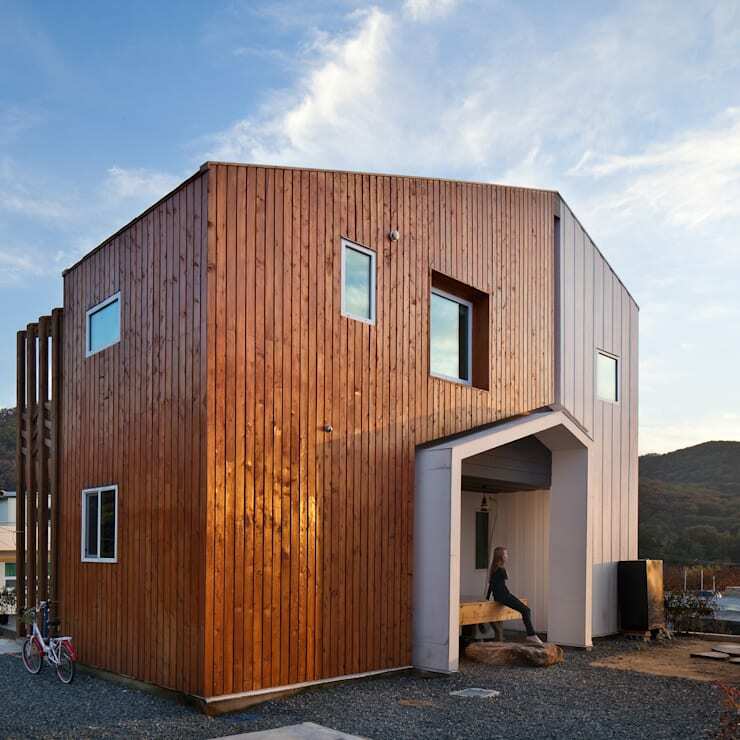 This house incorporates similar design elements to those seen so far, with lofty white walls and strong geometry forming the facade, and grey and wooden finishes providing a material contrast. Rustic, stone steps also invite entrance to this home, with its living area extending through to dual patios to a simple, cosy back yard. The fourth house on the block is resplendent in the deep tones of a wooden facade, with the lines of vertical timber slats combining with its geometric facade to present a blend of traditional and contemporary styles. Similar to its predecessors this home makes use of an array of windows to allow light to permeate its high walls, with the rear of the home opening out onto a humble space for outdoor living and a gorgeous view of the surrounding area. The space within is open and serene, with one large living area favoured over multitude smaller rooms in order to allow for greater flexibility and to create a calm atmosphere for quiet reflection. An internal courtyard provides a private locale for outdoor relaxation, while the expansive living area flows beautifully throughout the lower floor. Here we can see an inventive mezzanine level adjoining the central stairwell, with the space beneath utilised for much-needed storage. For more ideas about building on a budget and maximising space have a look at The Stylish American Carriage Home. 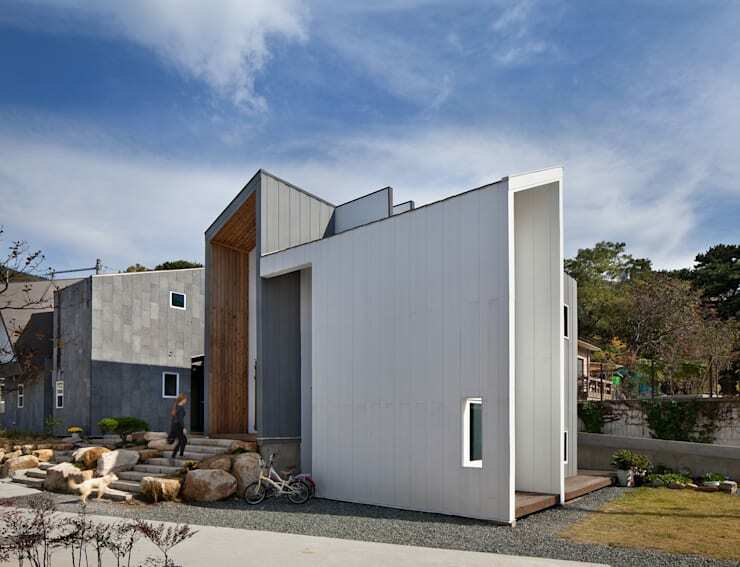 Which of these four contemporary homes is your favourite? Tell us below!